Chances are there will never be a Star Wars movie you won’t understand because you didn’t read an accompanying book first. But the books can give you some more information that the other medium won’t have a lot of time to focus on. With Catalyst: A Rogue One Story we’re given a richer background for a few characters and the world we’ll see in the Rogue One movie. 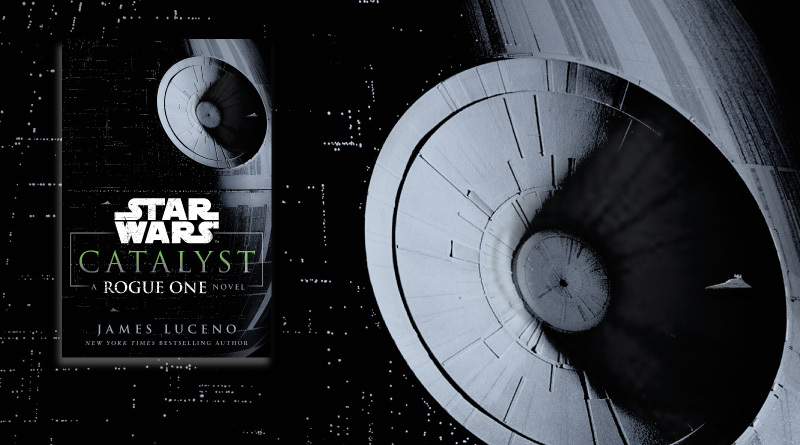 In various interviews Catalyst’s author James Luceno has shared that he originally wanted to include a much larger cast for the book, but ultimately decided to scale back. I think this was a wise decision. The book covers time during the Clone Wars, crosses the period of Revenge of the Sith, and moves a couple years beyond that into the early Empire. There’s a lot going on in the galaxy then, and it’s plenty to keep track of. What’s more, the language of the book hinders its overall accessibility. I’m all for big words, but there’s also big passages of laser and crystal science. On the plus side you may enlarge your vocabulary, but you also may find yourself reading paragraphs or even chapters over again to make sure you understood the gist of it. Luckily there’s not a technical pop quiz to be found in the book, even if it feels like there might be. Possibly the biggest weight Catalyst carries for Rogue One is the history of Galen Erso and Orson Krennic. We see where they came from, where they diverged, and how their motivations set their path forward. Erso is brilliant and apparently very handsome. There’s a cool notion of the way he inhabits his own world within the larger one, even if the plot seems to control what he can and can’t discern. Krennic is an obsessive playing in his own Imperial-funded sandbox, and I’m curious to see what else he brings to the table that allows him any position of authority in the movie. It’s easy to see why he fits with the Empire even if his story feels familiar – dedication to personal glory in the name of the regime with little regard for rules, regulations, and customary procedure. All the science and manipulation during the development of the Death Star appear to be a carefully crafted puzzle. The more you think about it all, though, the more it starts to fall apart. Which is too bad, because Catalyst gives a reader a lot to think about and parts of the science were clearly heavily researched. I particularly found myself distracted by the development order of the massive battle station and was able to quickly confirm with a real-life engineer that my issues weren’t unfounded. Beyond scheming and dreaming, the book also gives an expansion on the relationship to the Force that non-Jedi can possess. Those moments with Lyra Erso may give hints for the movie, or at least see a bit more light onscreen. In the Star Wars saga a majority of the Force philosophy we’ve heard has come from Jedi and Sith – those who actively work with or manipulate it. It’s refreshing to see another view. Unfortunately even with her philosophy and deduction skills, Lyra is limited in this story. Despite this main female character’s interesting background and potential, she’s mainly left waiting around. And it’s odd because the beginning of the book makes it seem like she’s an essential team member for Galen’s research group. That, and most of the other female characters from the beginning, fades away over time. Lyra’s main female friendship, a welcome inclusion, is mostly a plot device. Meanwhile baby Jyn’s function in the story is as a calendar. What Catalyst does best is build on the concept that no one individual started the rebellion against the Empire. 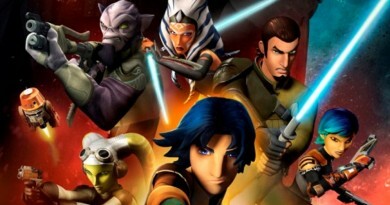 We’ve seen this in A New Dawn, Lords of the Sith, and Ahsoka, as well as in the TV show Star Wars Rebels. There may have been secret meetings of senators indicated in Revenge of the Sith, but there were others who didn’t like how things were going and took it upon themselves to stand up where and when they could too. While I was intrigued while I read it, I’m torn as to whether I liked Catalyst. If you’re really interested in this background I’d almost recommend watching Rogue One, then coming back and reading this book before watching the movie again. Be sure to check out the designs used inside, too; they’re a new approach for U.S. Del Rey Star Wars books and rendered very nicely. The publisher provided FANgirl with a copy of the book for review. 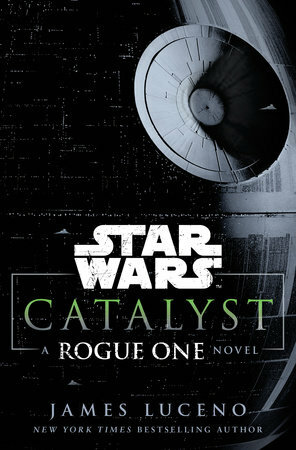 Star Wars Catalyst: A Rogue One Story is out now.